Your Multi Day Tours make sure you have the most fun possible, see everything you want, as well as have a driver for things like dinner, golf, or lū`au transportation. Remove all the hassle and wasted time from your vacation, you tell us what you want, we make it happen. You will be amazed at how much you will see and do, while you leave the tour feeling like almost local. Your Multi Day Tours offer "Buy 2 Days get the 3rd 50% off" special! 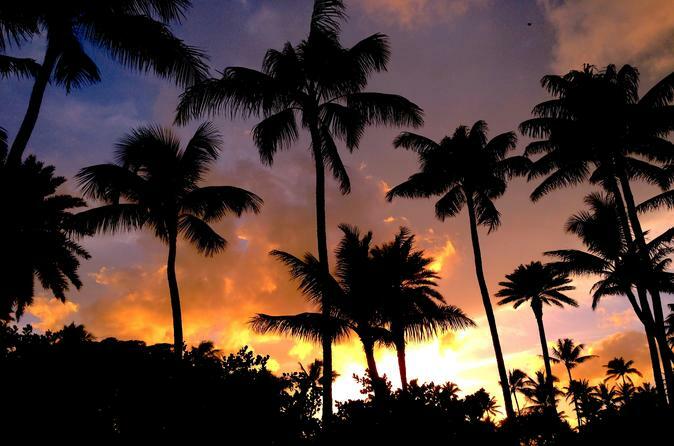 Be taken care of from start to finish and fall head over heals in love with O`ahu! Guests truly get the most out of their vacation with Your Multi Day Tours! Guests are picked up at virtually any hotel, airport, or location and given a personalized private tour of O`ahu. Choose the perfect sights and activities for you and your family, swimming, hiking, shopping, great food, photography and much more. Choose between Your Half Day (6-Hour) Tours, Your Full Day (9-Hour) Tours, and Your Long Day (12-Hour) Tours. You will have a dedicated guide to ensure your entire experience is smooth and seamless. You save money and have more time to check all of the boxes on that vacation list. On Your Multi Day Tours you will get to visit so many different attractions, different waterfalls like Waimea and Mānoa Falls, enjoy a little known pineapple plantation and some more of the best spots on the island! These tours insure the best experiences based on the weather, as well as giving you the best chance to see and do everything you want to with your precious vacation time. We will break up the tour in order to show you the most of each part of this beautiful island. Explore the South and North Shores to the fullest while having an extra day to explore the Town Side of O`ahu. Visit attractions like Waikele Outlets, Aloha Stadium, Hanauma Bay, Diamond Head, Dole Plantation, Nu`uanu Pali Lookout and almost anywhere else! Your options are virtually limitless, and every experience is tailored to your groups wishes and tastes.